IFWG Publishing has been supporting for most of its company life causes that are worthy, particularly for children. Paper Magic is an example by our cousin in Australia, that teaches children with challenges the power of self-esteem. 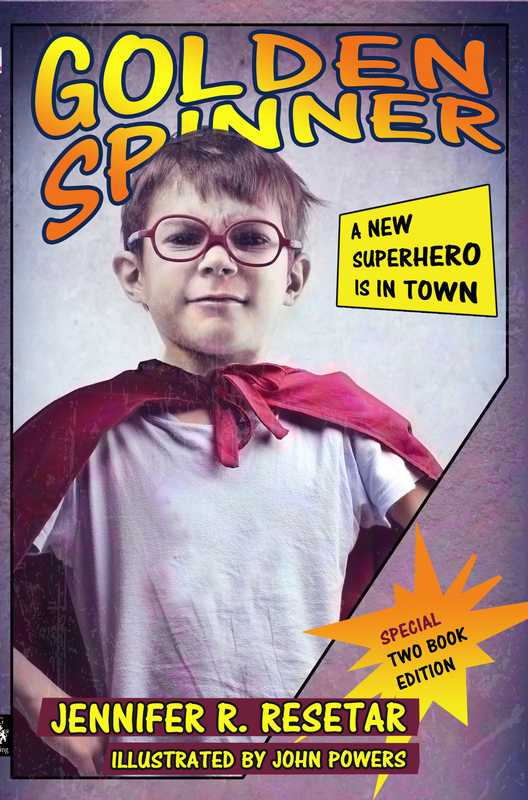 We are now proud to announce the release of Golden Spinner, which largely addresses school bullying. Jennifer R. Resetar, the prime author, grew up with Cerebral Palsy and was subject to school bullying. She learned how to stand up for herself and this story (two stories in fact) draws from her experience. The title is richly illustrated by John Powers. The title is currently available in ebook formats directly from the publisher (Mobi and EPUB), and will be in Amazon, Barnes and Noble, and Kobo stores over the next few days. The print version will be available in coming weeks.